If you are using your gas fire logs and/or backup generator more frequently in the winter PLEASE LET US KNOW IN ADVANCE so that we can prepare accordingly as you may run out sooner than expected. Note: If you are using your gas fire logs and/or backup generator more frequently in the winter PLEASE LET US KNOW IN ADVANCE so that we can prepare accordingly as you may run out sooner than expected. 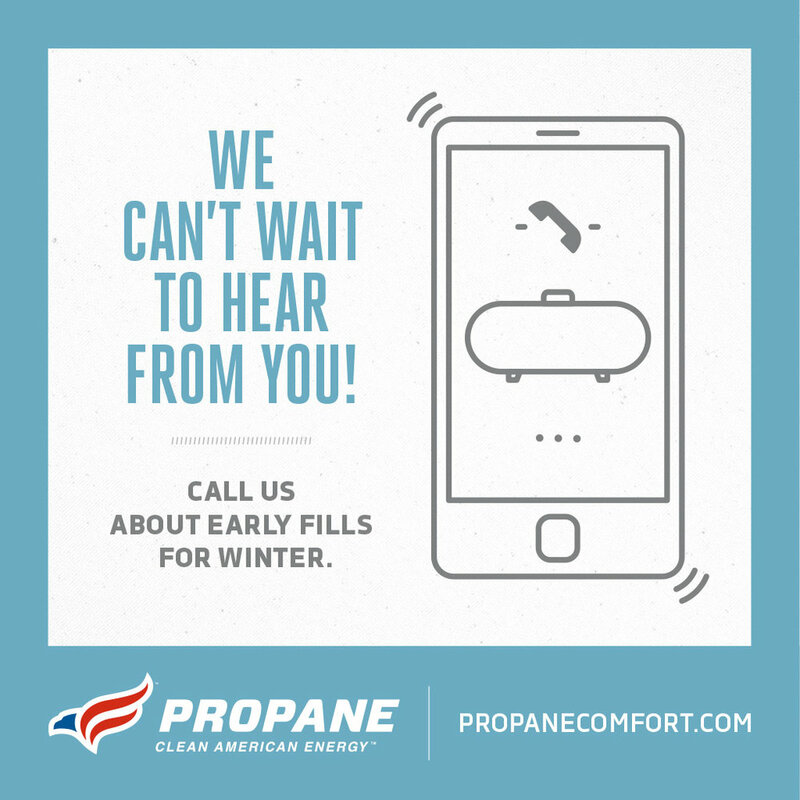 This will allow us to prepare accordingly and best ensure that you never run out of Propane! *Prices subject to change and additional fees may apply.